Honeywell is making the HGT 1700 auxiliary power unit (APU) for the A350, which is the largest APU the manufacturer has produced. 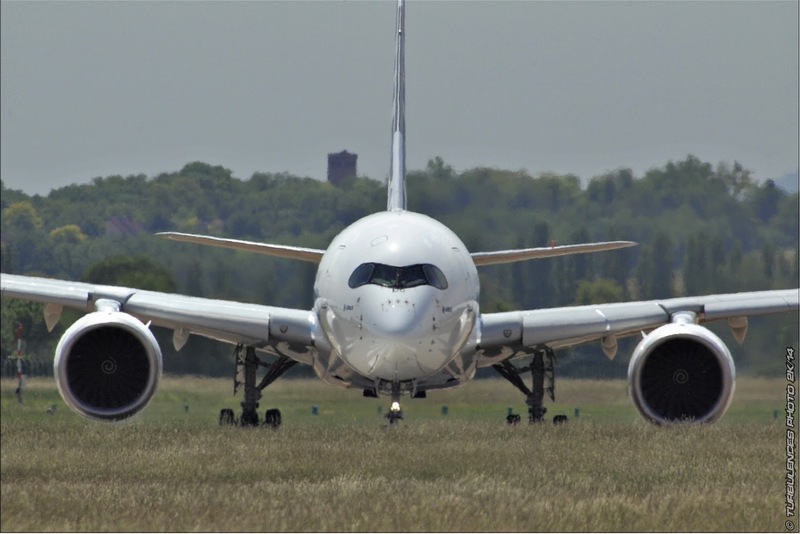 Honeywell has worked in close collaboration with Airbus from the A350’s design concept phase so that the APU, which will drive the aircraft’s environmental system, would meet the A350’s efficiency and comfort targets. Honeywell developed its A350 Air System Integration Bench, or AirSIB, so that the APU could be developed from the start as an integrated system that was de-risked. The AirSIB includes a full engine so that bleed air—required for APU operations—was accurately replicated in development and testing. This was the first time Honeywell has taken this approach to APU development. Based on the article "Airbus readies for fifth A350 to fly; remains committed to -800 variant" published in ATW. 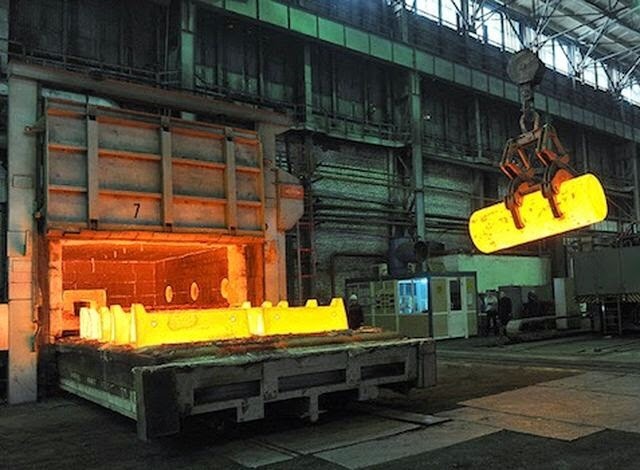 Russian titanium supplier VSMPO warns Airbus: “It's impossible to find an adequate replacement in less than 3-5 years"
VSMPO-Avisma, the world's largest titanium producer, warned Airbus it would be forced to pay penalties if the European planemaker terminated a $4 billion contract with its Russian supplier. 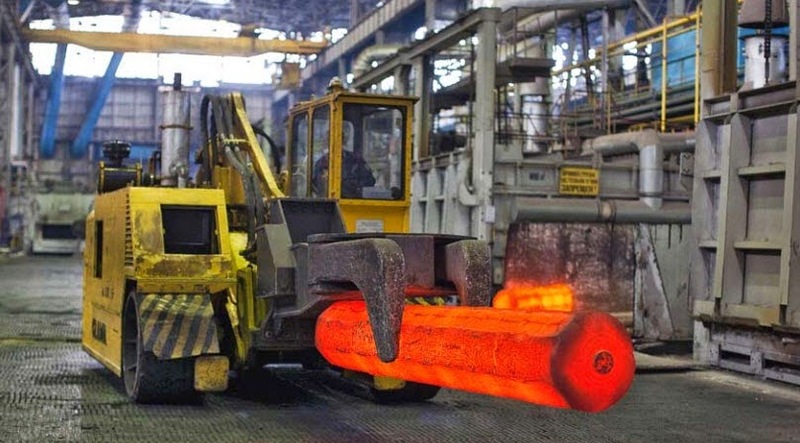 VSMPO is 25% owned by Russian state defence conglomerate Rostec, whose CEO Sergei Chemezov was made the subject of Western sanctions in late April for Russia's role in the Ukraine crisis. "Contracts remain valid and cannot be cancelled for no reason. 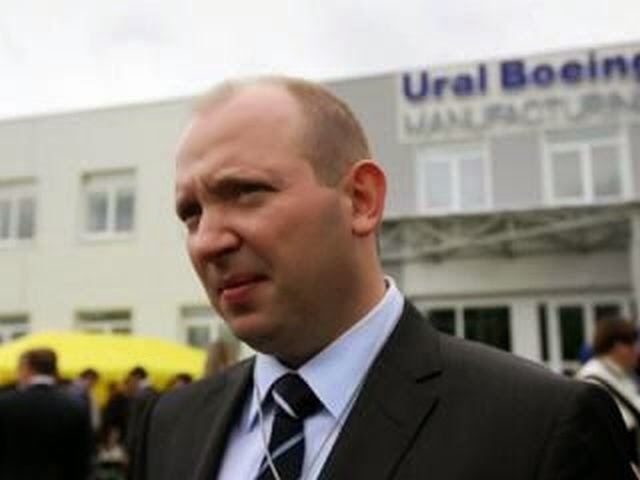 Otherwise, penalties come into force," VSMPO CEO and co-owner Mikhail Voevodin said. "A contract until 2020 was signed with us. And it is difficult to assume that the largest European aircraft maker would neglect the terms of the existing partnership." "The advantage of a long-term contract is stable conditions. We always strictly fulfil the terms of the contract, so do our partners ... 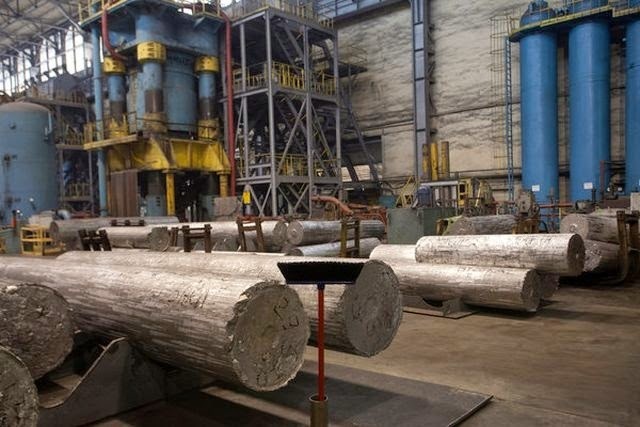 Politics is politics and business is business: all of our contracts are mutually beneficial," said Voevodin. “It's impossible to find an adequate replacement for VSMPO products in less than three-five years" he added. Airbus COO Guenther Butschek said this month there were no short-term impacts from the crisis in Ukraine but that the firm was looking to safeguard supplies of titanium, which is used in the A350. VSMPO meets 60% of titanium products demand at Airbus and 40% of demand at Boeing. 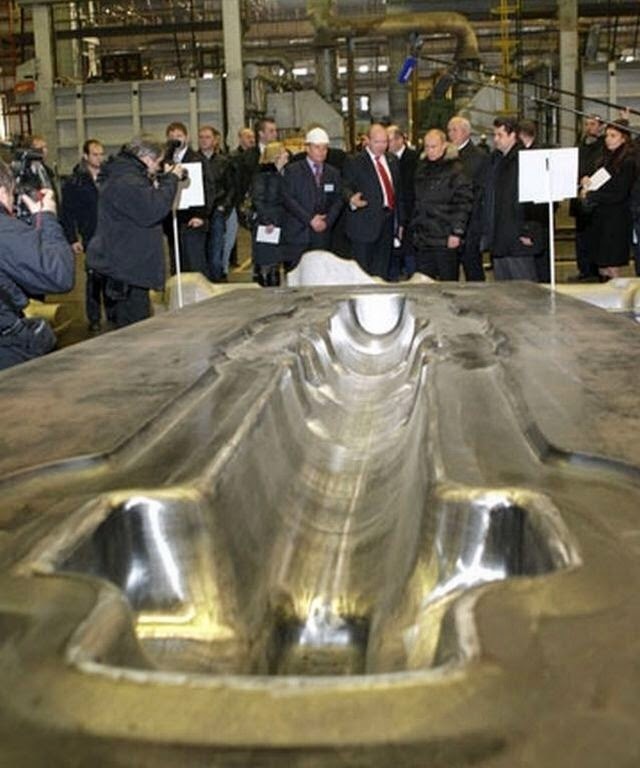 Based on the article “Russia's VSMPO says Airbus to face fines if quits $4 bln titanium contract” published in Reuters. Qatar CEO expects the handover of the first A350-900 “anywhere between October and December” this year. 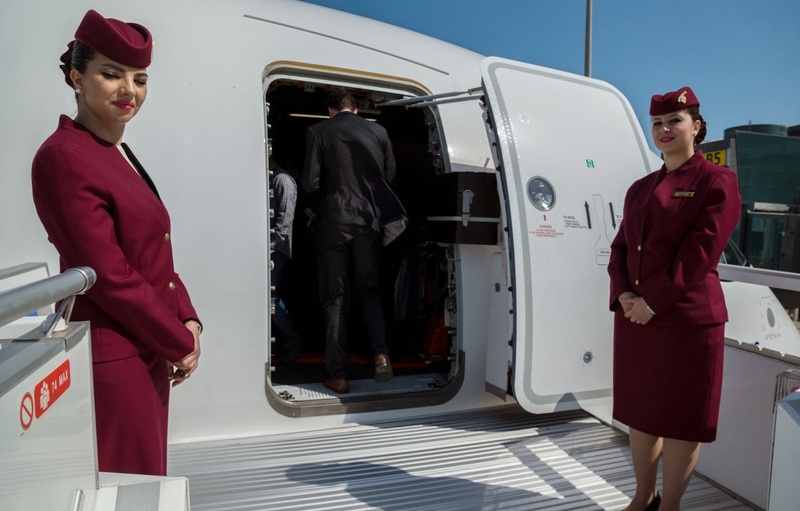 Qatar Airways chief executive Akbar Al Baker remains confident that his airline will take delivery of its first Airbus A350 in the 4th quarter, and said he is “very satisfied” by the twinjet type’s progress in certification testing. “I think it will be a fantastic airplane,” says Al Baker, who stresses that Qatar’s A350s are for replacement rather than growth. “They will eventually replace all of our A330s,” he says. 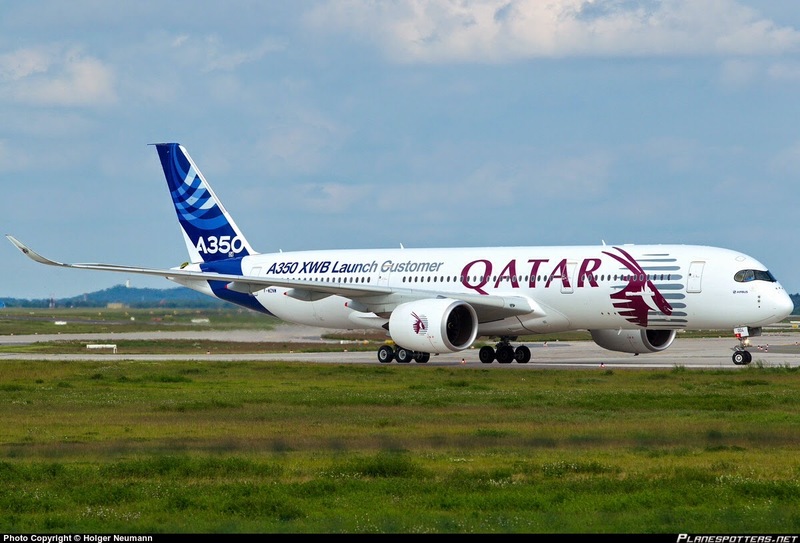 Qatar has a total of 80 A350s on order, split between the -900 and -1000 models. Handover of the first, a -900, could take place “anywhere between October and December” this year, says Al Baker. While the airline has earmarked New York as an A350 destination, that US city will not be the initial destination for the type, Al Baker indicates. “The earlier aircraft will not go to New York, but eventually we will send the aircraft to New York,” he says. 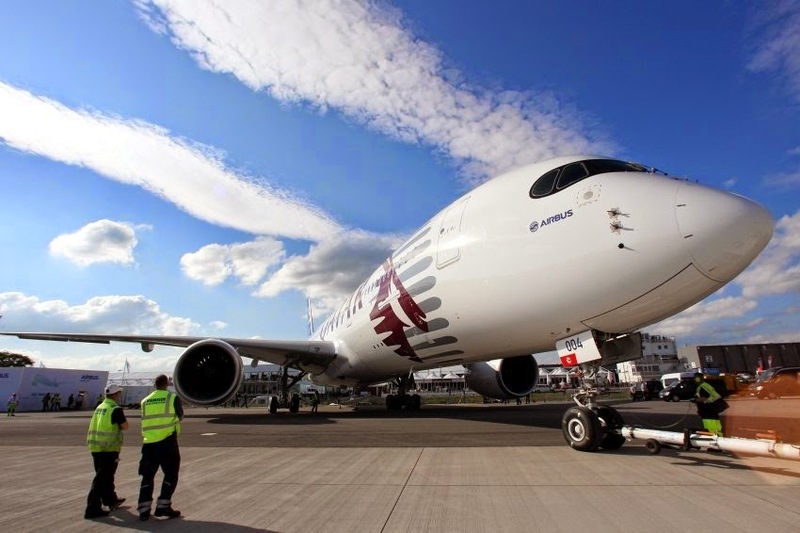 Based on the article “Qatar’s chief ‘very satisfied’ with A350 progress” published in Flight International. A350-1000 “would be ideal for us”. 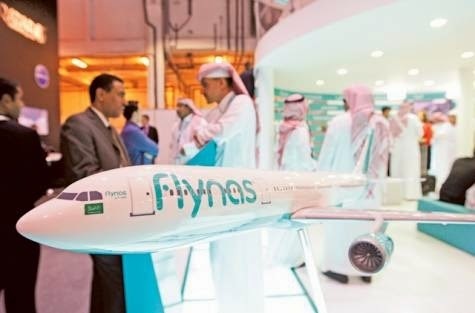 Saudi Arabian discount carrier flynas in talks with Airbus. 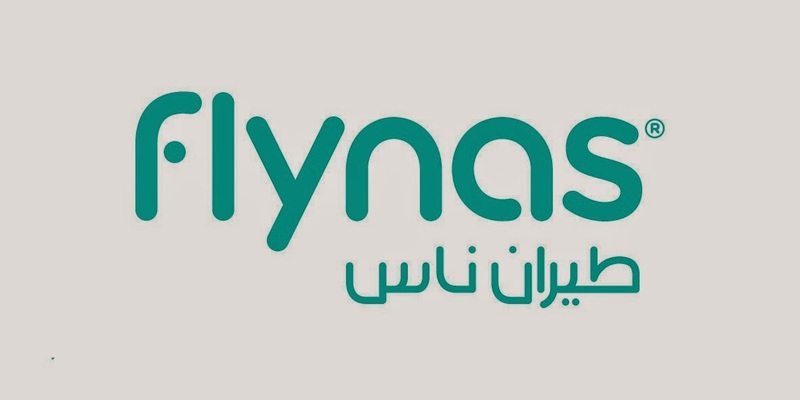 Saudi Arabian discount carrier flynas has entered into negotiating talks with Airbus on a possible A350-1000 order linked to an upgrade of a deal for 20 A320s, its chief executive has said. Raja Azmi said he met with Airbus executives on the sidelines of the Arabian Travel Market in Dubai to swap the A320 order and discuss a possible A350 order. He also met with Boeing executives to discuss the Boeing Dreamliner 787. “Yesterday we started discussions, so we are talking to both Boeing and Airbus during this time to look at all the possibilities. We’re still open in terms of the aircraft type for the long haul,” Azmi said. The airline currently leases aircraft for its long-haul routes. He ruled out looking at the Boeing 777 model, which “are a bit pricey,” but said he is open to the Dreamliner. Azmi said he will take his time to gauge which long haul aircraft he will order. However, he admits he cannot take too long with delivery dates on new aircraft ordered today not expected until the end of the decade. 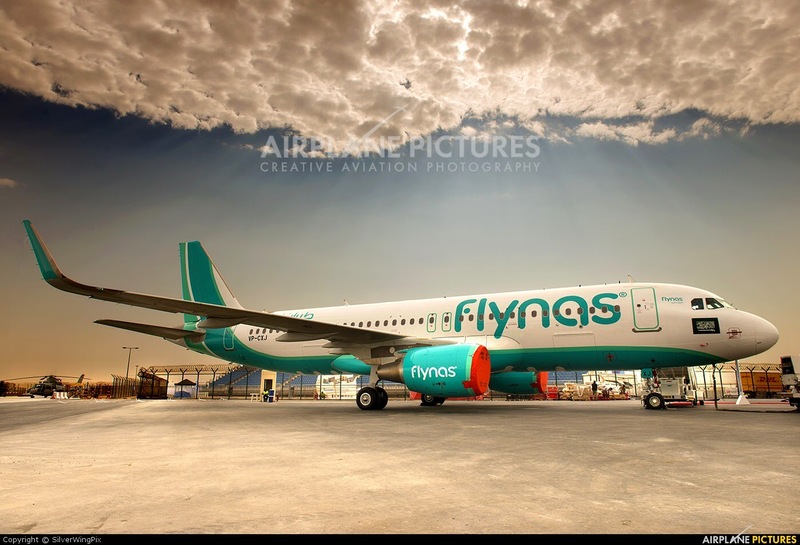 Based on the article “Saudi’s flynas starts renegotiating Airbus aircraft order” published in Gulf News. 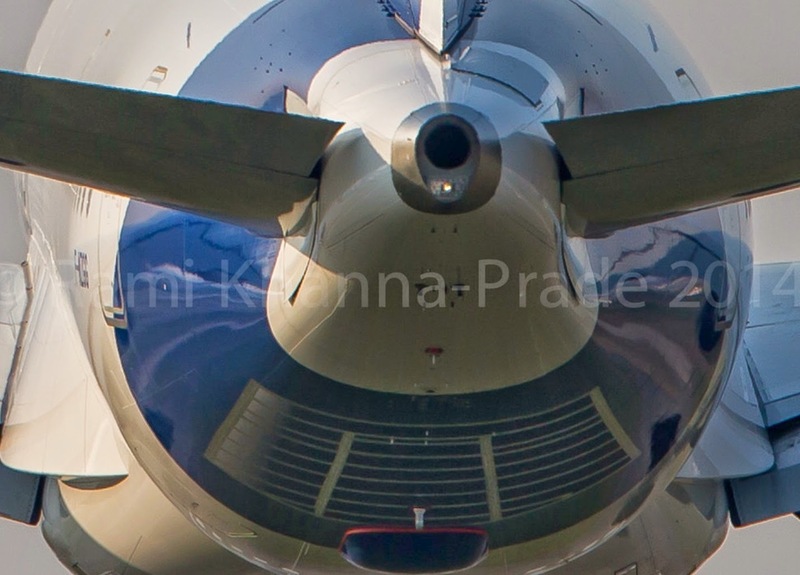 Production-representative engines installed in the A350 MSN5 flight test airframe. The first set of “production-representative” Trent XWB engines for the A350 is being installed onto the final test aircraft MSN5 in Toulouse after it has left the paint-shop, while the first full production specification engine has been shipped to Airbus for installation on the initial customer airframe MSN6. The MSN5 is the first batch-2 (B2) airframe built to full production specification and is the 2ndA350 to be equipped with a furnished cabin. 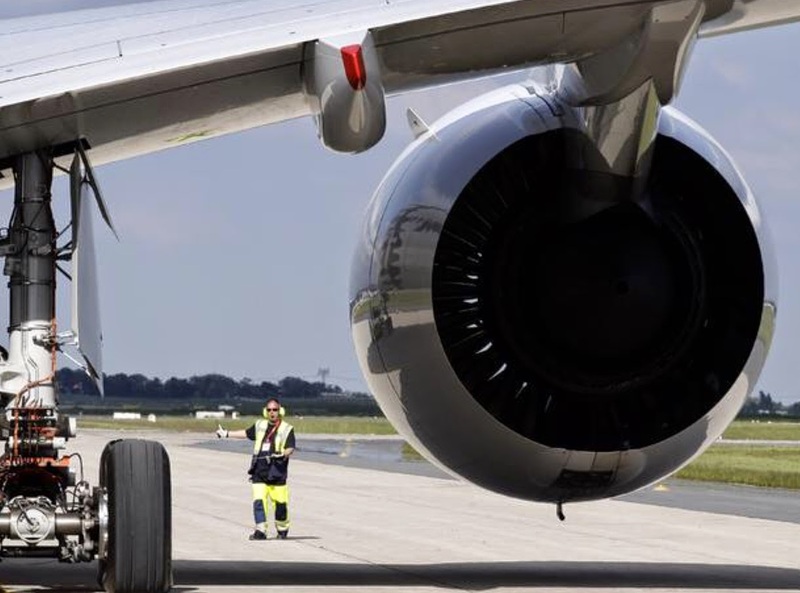 Airbus said that while MSN5´s Trents are not the first production-standard engines built, they are “production representative, as the aircraft will test the standard that will be delivered to customers”. This aircraft will participate in the A350´s route-proving program, which is due to be flown in conjunction with Qatar Airways in Doha. 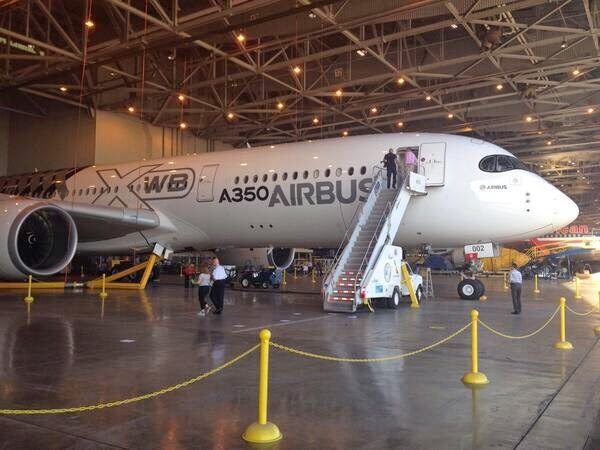 Based on the article “Production-representative XWBs readied for A350” published in Flight International. 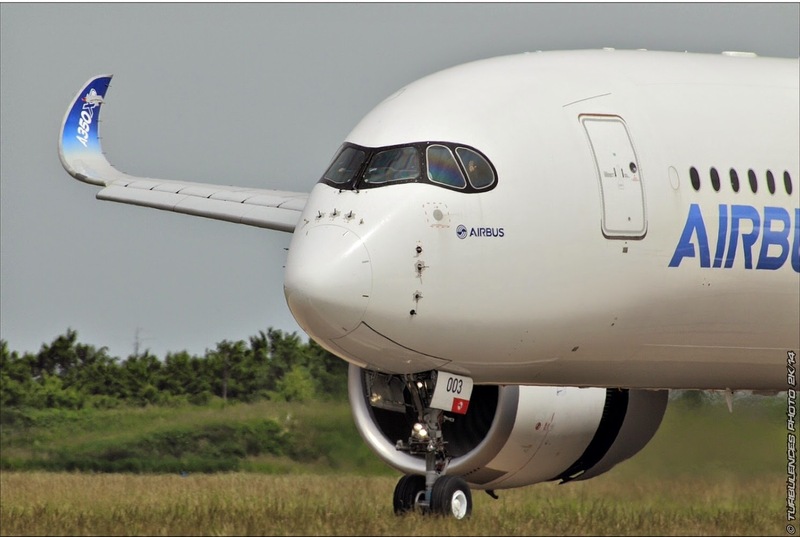 A350 Evacuation tests successfully performed. 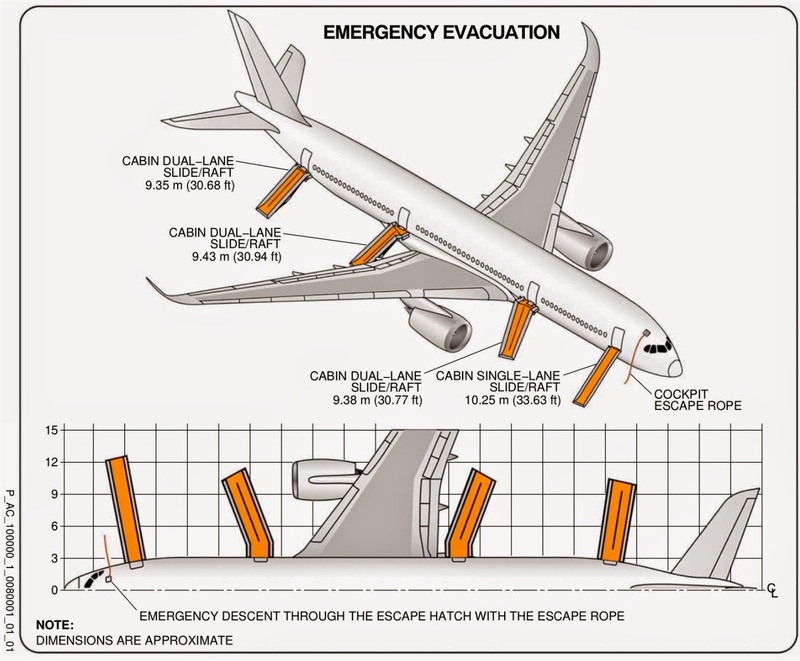 Airbus has performed successfully the “partial” evacuation tests at Airbus´ Hamburg site. The tests were done on doors 1 and doors 3. 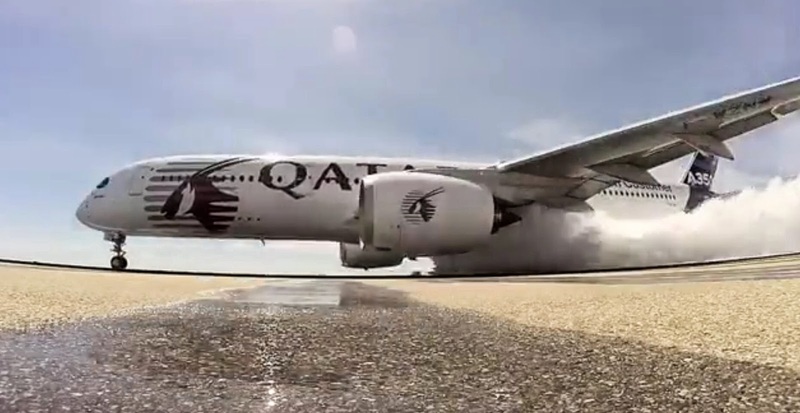 The full test is not necessary in A350 XWB as some equipment is consistent with other models like A330. These tests are required for Certification and a representative passenger load of persons in normal health was used in the MSN2 cabin equipped flight test prototype; at least 40% of the passenger load was female, and at least 35% was over 50 years of age. Additionally, and as required by Appendix J to Part25 of the FAA requirements, 3 life-size dolls were carried by passengers to simulate live infants 2 years old or younger. Based on the article “Airbus A350 : les essais d'évacuation passagers ont été faits” published in Air&Cosmos. 5th flight test prototype will join the A350 Certification program in coming weeks. Airbus is continuing the “no surprise” flight program for the A350 XWB, with more than 1.700 hours logged in preparation for certification later this year – clearing the way for deliveries to customer airlines. 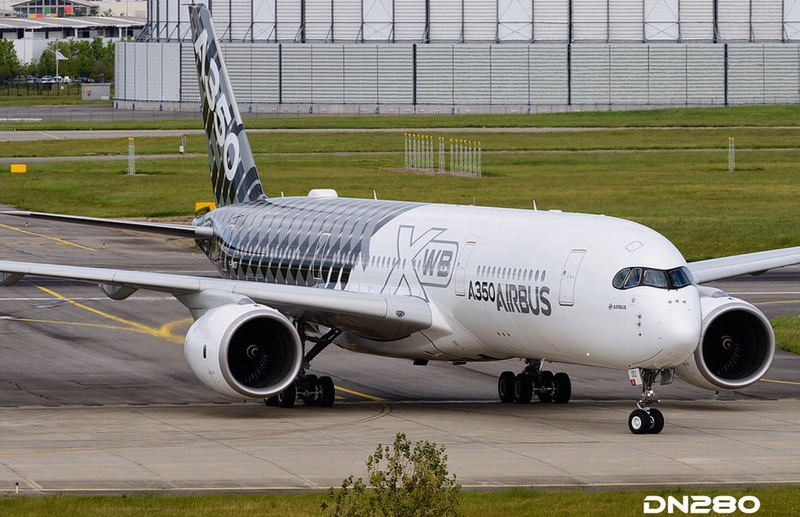 One of the four A350 XWBs currently involved in the program took a brief time-out to join opening day ceremonies at ILA Berlin 2014 Air Show, and then departed for the continuation of its work. A5th aircraft is being prepped to join the test and certification effort, with its maiden takeoff planned in the coming weeks. 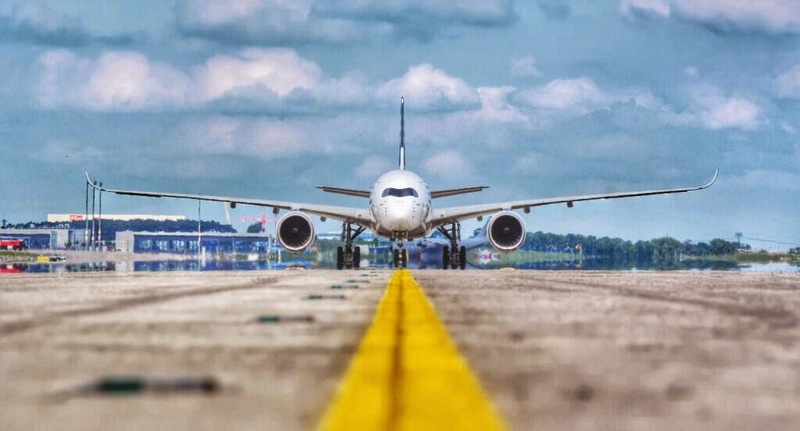 The A350 XWB is living up to expectations as the developmental aircraft are being put through their paces, according to Wolfgang Absmeier, an Airbus experimental test pilot who has been fully involved in the A350’s flight test program. “One of the surprises with this ‘carbon airplane’ is that we’ve had no surprises,” Absmeier explained. 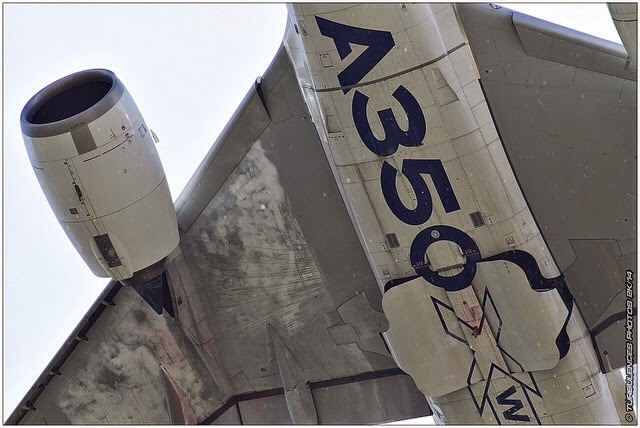 As an example, he noted the critical flutter testing – to which every new aircraft is subjected, determining the dynamic aeroelasticity – was performed within 1 week for the A350 XWB, compared to 6 weeks for the A380. In parallel to the flight tests, more than 13.200 cumulative hours have been logged on “zero test” means like “iron bird” and flying testbed. 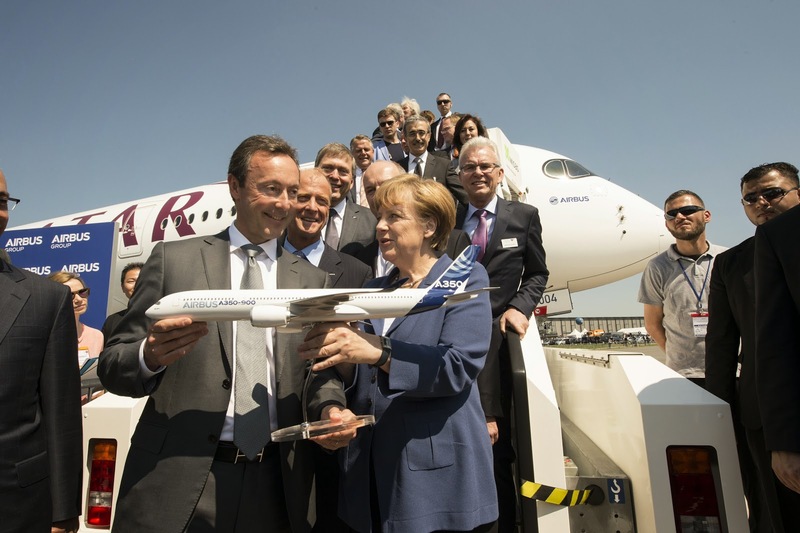 A350 XWB Program at Germany. 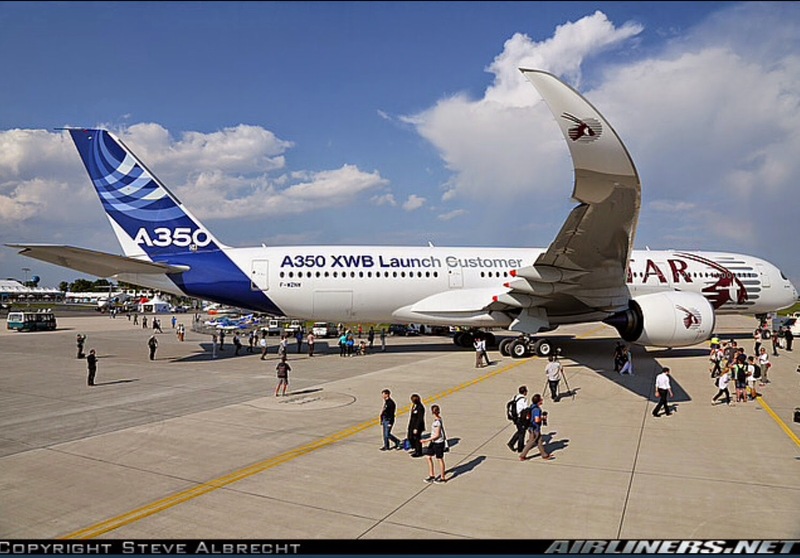 Airbus has reported that the A350 XWB appearance at the 2014 ILA Berlin Air Show has had the dual role of spotlighting Airbus’ newest jetliner and underscoring the company’s important industrial, engineering and research ties to Germany. With nearly 30.000 people working directly for Airbus and its owned subsidiaries in Germany – including some 4.000 specifically involved in the A350 XWB’s development – the country is continuing key contributions that trace their roots to Airbus’ cornerstone A300 jetliner, according to President and CEO Fabrice Brégier. Nearly 40% of the company’s engineering workforce of approximately 12.500 engineers is located in the country. Among Airbus’ activities in northern Germany is the structural assembly and equipping of fuselage sections for the A350 XWB at the Hamburg-Finkenwerder plant. Cabin outfitting is another specialty of Hamburg in its role as the center of competence for fuselage and cabins, and where a new Customer Definition Centre (CDC) dedicated to the A350 XWB recently was inaugurated. Hamburg is the location as well for a large spares facility and 24-hour call centre at the service of Airbus customers and operators. In Bremen, Airbus has located the responsibility for design and manufacture of wing high-lift systems on the A350 XWB, where wings are fully outfitted. Stade is one of the world’s leading centres for the application of weight-saving composite CFRP (carbon fibre reinforced plastic) materials. It produces the A350 XWB upper wing shell – the largest integrated carbon fibre component ever made by Airbus – along with the A350 XWB vertical tail plane. 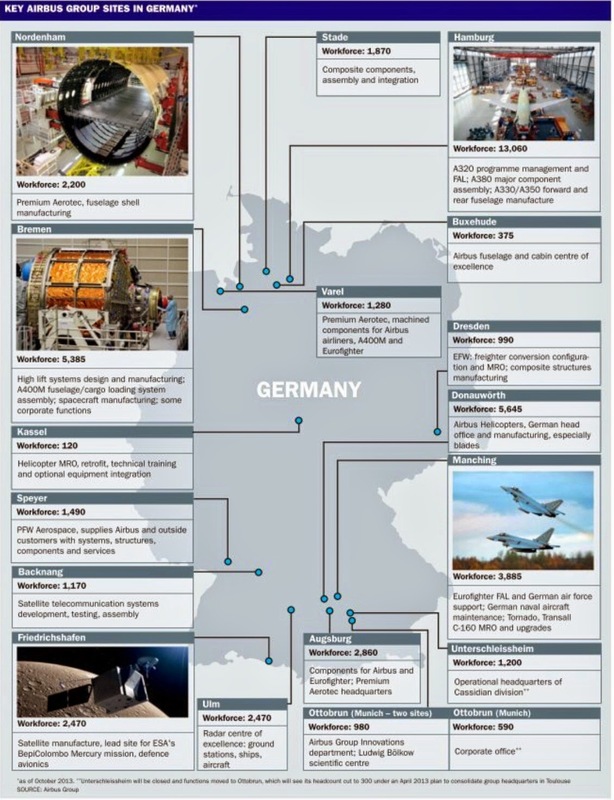 Research, technology and development work in Germany also has a key place in Airbus’ innovation and development. 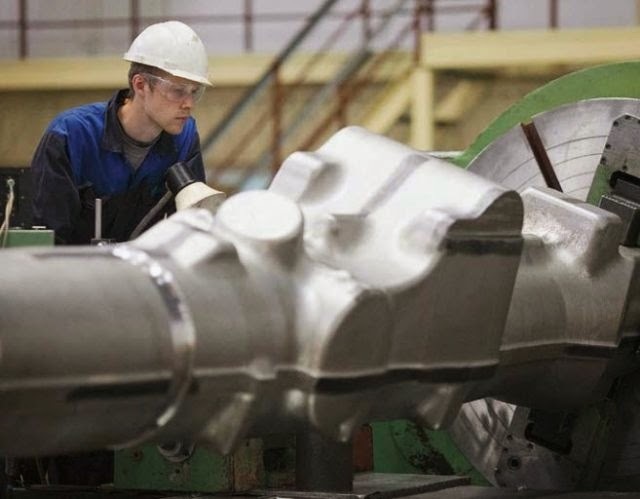 Nearly 40% of the company’s engineering workforce of approximately 12.500 engineers is located in the country, with key capabilities in flight physics, fuselage structures, cabin and cargo systems, environmental control and industrial technology. More than 1.000 patents have been created during the past five years by Airbus engineering teams in Germany. 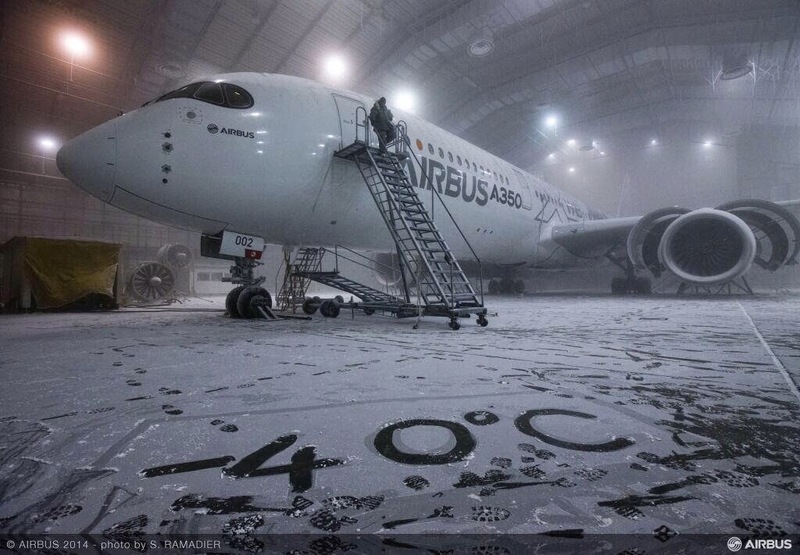 A350 Indoor extreme temperature tests completed. The MSN2 has left McKinley Climatic Lab at Eglin Air Force base in northwest Florida after completing the extreme hot and cold temperatures tests in 2 weeks. This flight test aircraft is cabin equipped and during the tests, different systems and cabin installations have been checked. The plane has made a flyby over Airbus-Mobile FAL that is under construction in it's way back to Toulouse. ETOPS certification. How many minutes is the A350 allowed to fly away from emergency landing strips? 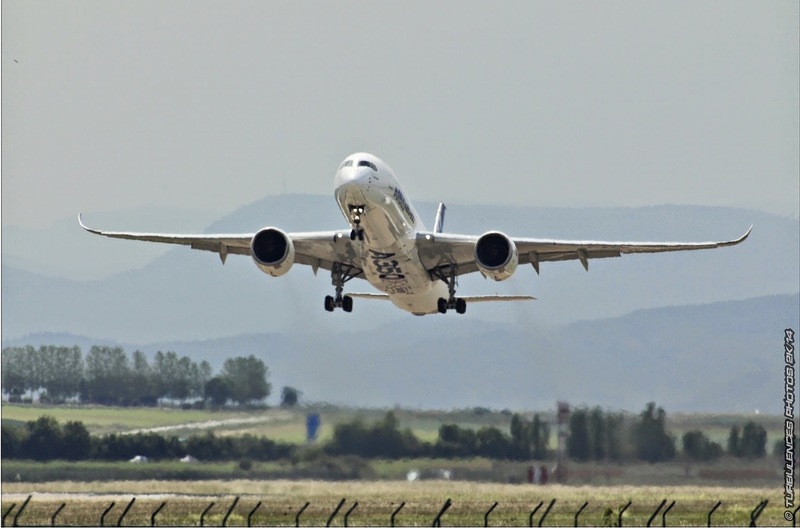 While European and U.S. regulators most often work in tandem, safety officials say there will be a gap of several months between transatlantic approvals needed to allow the A350 to fly on routes involving long stretches over water. 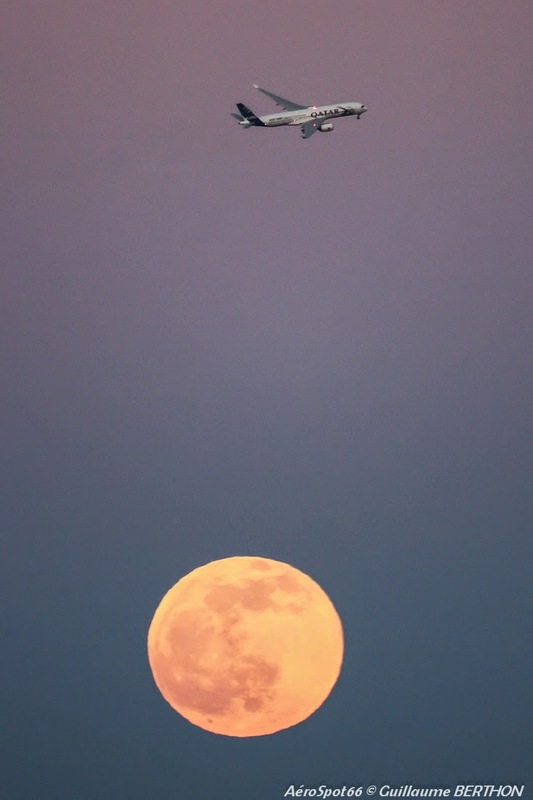 The Extended Operations or ETOPS rules determine the maximum amount of flying time planes can stray from the nearest airport. Airbus has asked for a margin of at least 3 hours, matching the current rule for the 787. Sources say EASA's certification plan calls for 180 minutes ETOPS from the outset, but the U.S. Federal Aviation Administration (FAA) may take a few months longer to consider the same level of clearance. 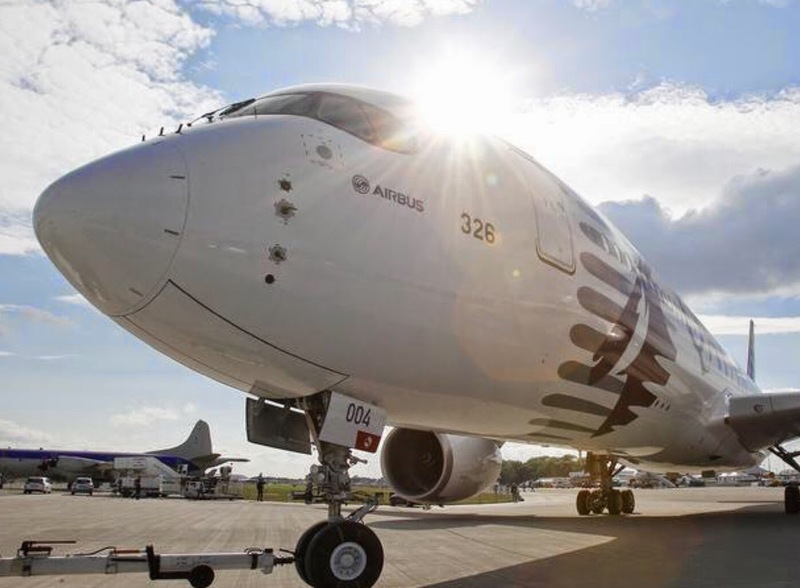 Industry experts say this will not immediately disrupt deliveries since the first few A350s are earmarked for airlines that operate Airbus aircraft delivered under EASA certification. But Airbus will need to meet the same rules for the FAA before delivering to airlines in parts of the world where the FAA takes the lead. 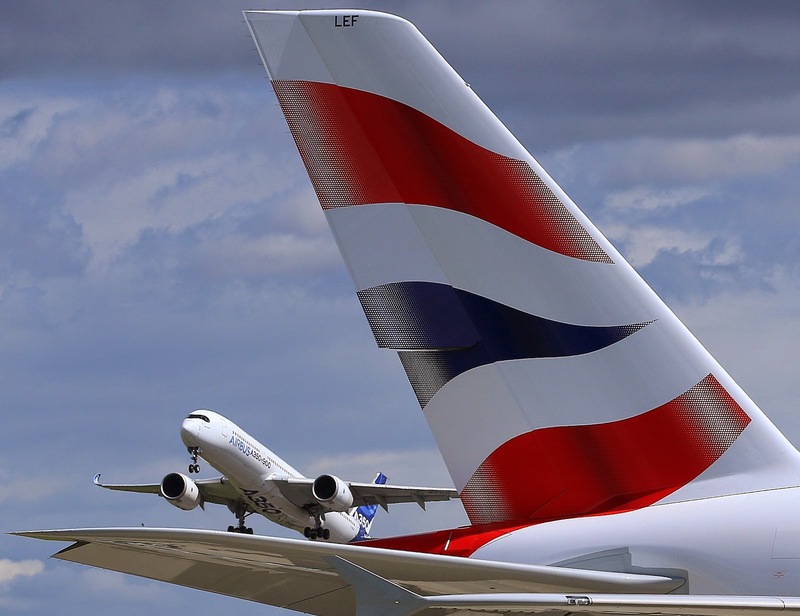 Airbus said it aimed for EASA and FAA approval for "beyond" 180 ETOPS from the outset. 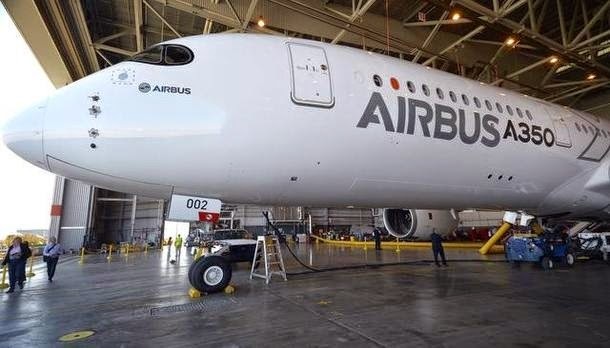 In January/2014 it was published that Airbus has the ambitious goal for A350: to be allowed to fly 420 minutes away from emergency landing strips. 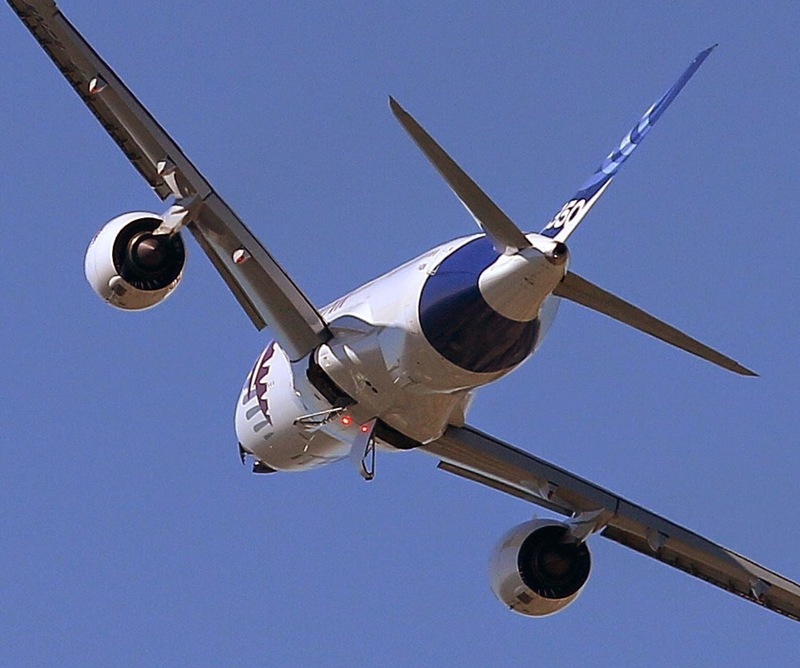 ETOPS qualifications are central to the business plans for the rival carbon-fiber jets, both designed to fly efficiently and reliably on 2 engines where some older planes used 4. Boeing said last week the FAA was considering an application to lift the 787's ETOPS margin to 330 minutes. 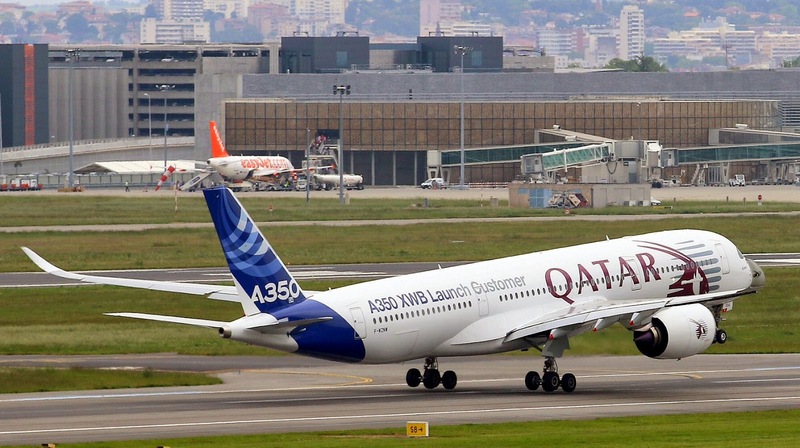 Based on the article “Airbus set for A350 safety approval in late summer: EASA” published in Reuters. Airbus President and CEO Fabrice Brégier noted that the A350 XWB’s participation in ILA Berlin show opening activities is highly symbolic, as it marks 40 years from the original A300 jetliner’s initial appearance at this German aerospace event. 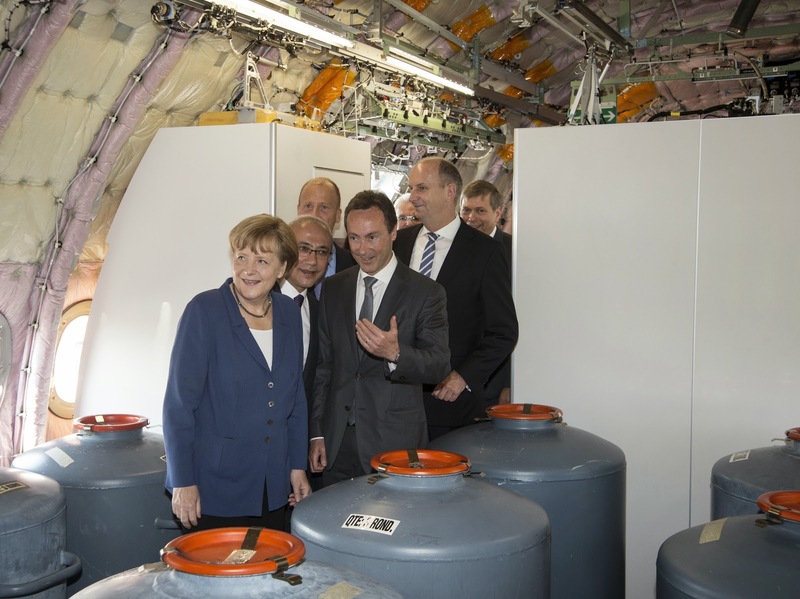 German Chancellor Angela Merkel has visited the test flight aircraft with Airbus CEO. 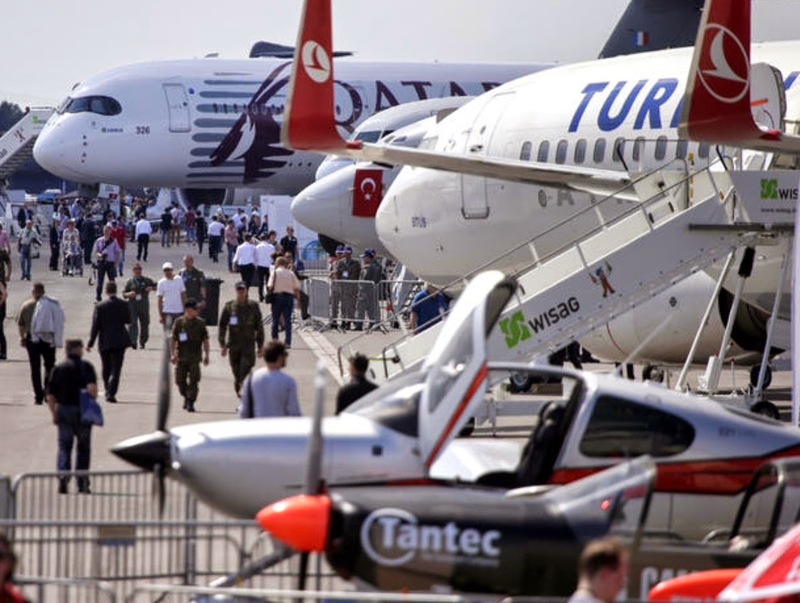 The MSN4 prototype with Qatar Airways special livery has been at ILA on the first day of the show. Here are some pictures and videos of the landing on Monday, ground display and the flyby of Tuesday. Enjoy them! 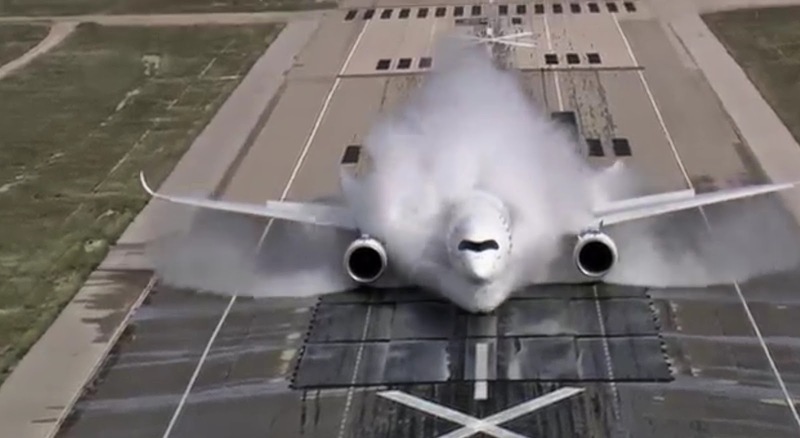 Interesting video of the water ingestion test done by MSN4 test-aircraft in Istres. 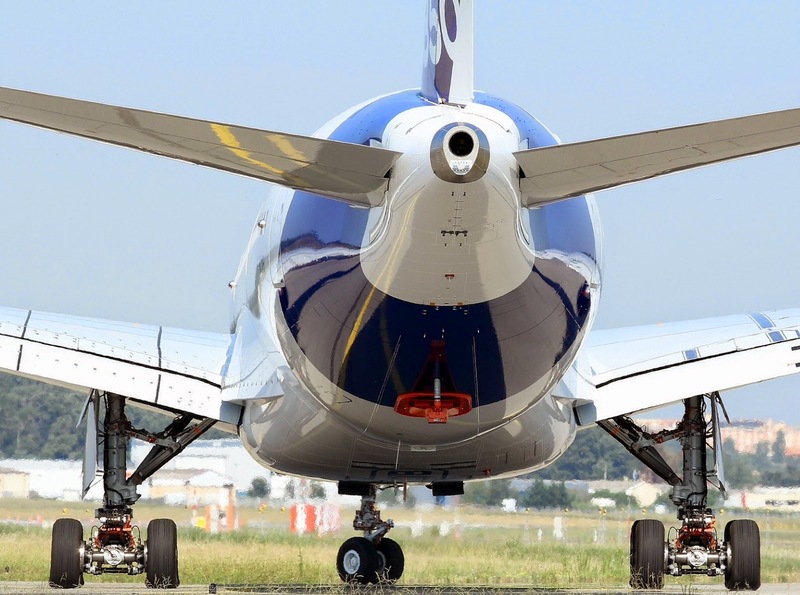 Some A350 prototypes are expected to be sold. Airbus expects eventually to sell part of the A350-900 test fleet to customers, although it has not indicated how many of the 5 jets could be transferred. MSN5 will airborne next month and it will have a full cabin fit and be used for route proving. One other A350, MSN2, is cabin-fitted while MSN1 and MSN3 have undertaken much of the heavy development testing with heavy Flight test Instrumentation (FTI) onboard. Airbus Group CFO Harald Wilhelm, speaking as the company disclosed first-quarter results, said that “some of them are expected to be sold”. But he added that this would only take place “at a much later point in time”. He did not state how many of the aircraft could conceivably be handed on. Wilhelm says the airframer has ensured that the book value of the A350 test fleet has been kept realistic, and adds that it “wouldn’t count on a big profit contribution” from any sale. “We don’t expect any substantial profit or loss from it,” he said. Based on the article “Airbus expects to sell some of A350 test fleet” published in Flightglobal. 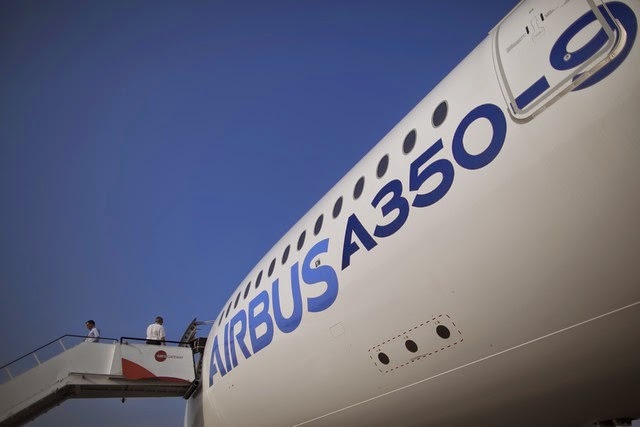 Airbus Group is entering a critical phase in the development of its new A350 passenger jet but flight tests are going well, said The Finance Director Harald Wilhelm. "The A350 is in a critical phase, and challenges and risks remain," he told reporters after unveiling a narrower-than-expected drop in quarterly profit. Based on the article “Airbus Still Expects an On-Time Arrival for the A350” published in Businessweek and based on the article “Airbus CFO says A350 in challenging phase, tweaks A380” published in Reuters. A350 remains on track as officially reported during Airbus-Group 1Q/2014 results presentation, but ... (Part1/2). 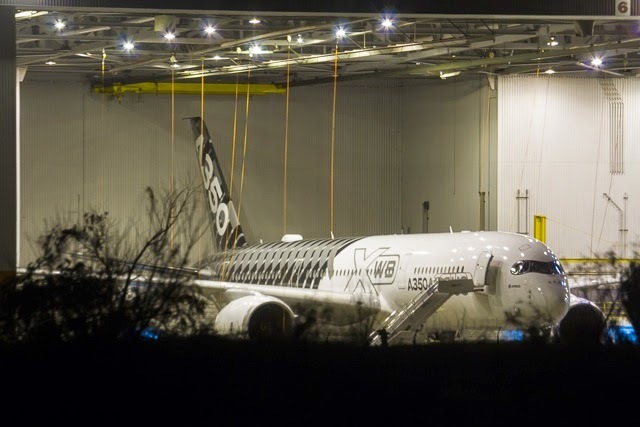 The Airbus A350 is progressing apace and remains on track to be delivered this year. Based on the article “Airbus Still Expects an On-Time Arrival for the A350” published in Businessweek. 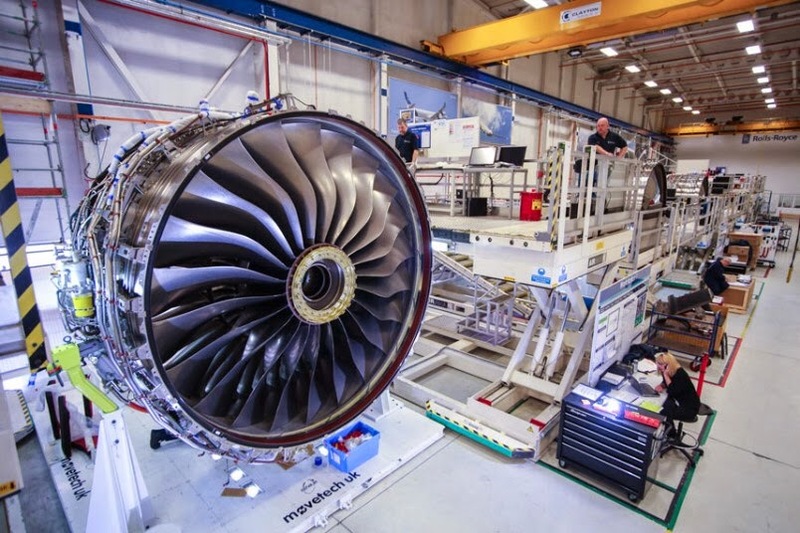 Rolls-Royce has delivered its first production line Trent XWB engine to Toulouse, ahead of the Airbus A350-900’s entry into service with Qatar Airways later this year. Rolls-Royce is the sole engine supplier for the 3-member A350 XWB family. The A350-900 is powered by a baseline 370 kN (83,000 lb.) thrust version. “When we reach peak production in 2017, we will be delivering a Trent XWB every working day,” Rolls-Royce Trent XWB program director Chris Young said. From design to conception the Trent XWB has come a long way, and its journey has just started. 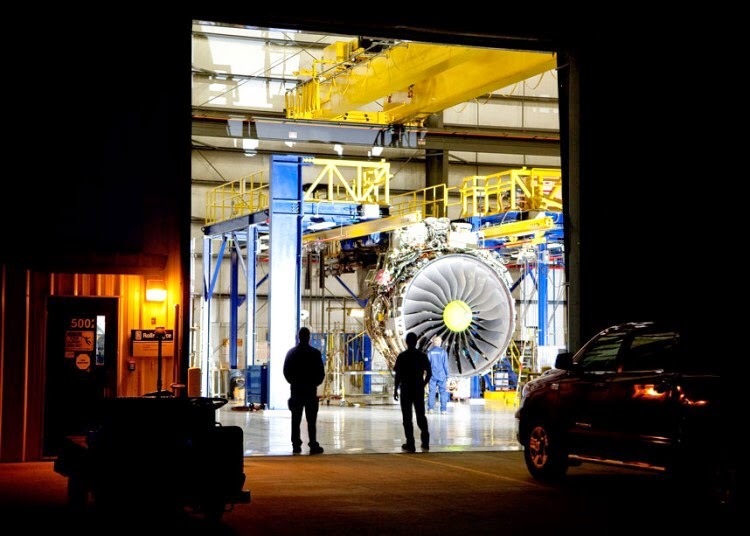 88 global suppliers, 16 Rolls-Royce plants, 13 partners & 25 dual sources for 1 spectacular engine. An open-top bus parade was held in Derby to celebrate the success of an important British export. 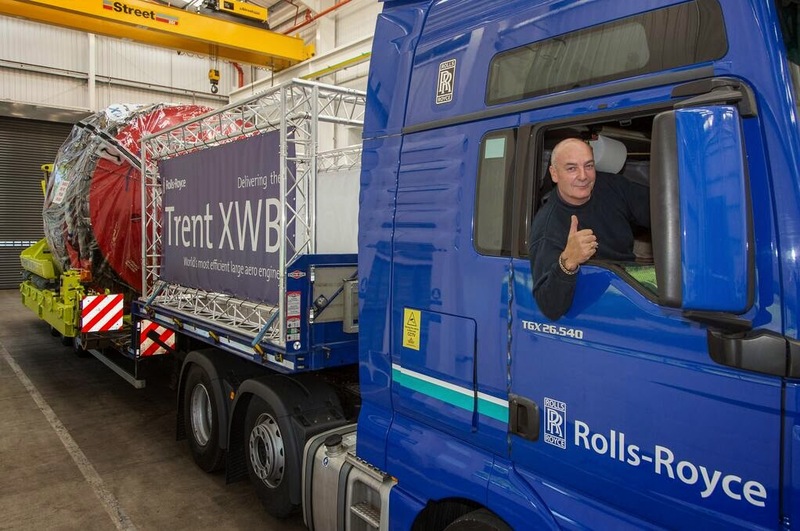 Crowds were on hand to cheer the designers of the new Rolls-Royce's Trent XWB engine as the first one was delivered to Toulouse. The firm hopes to produce 4,000 of the aeroplane engines. 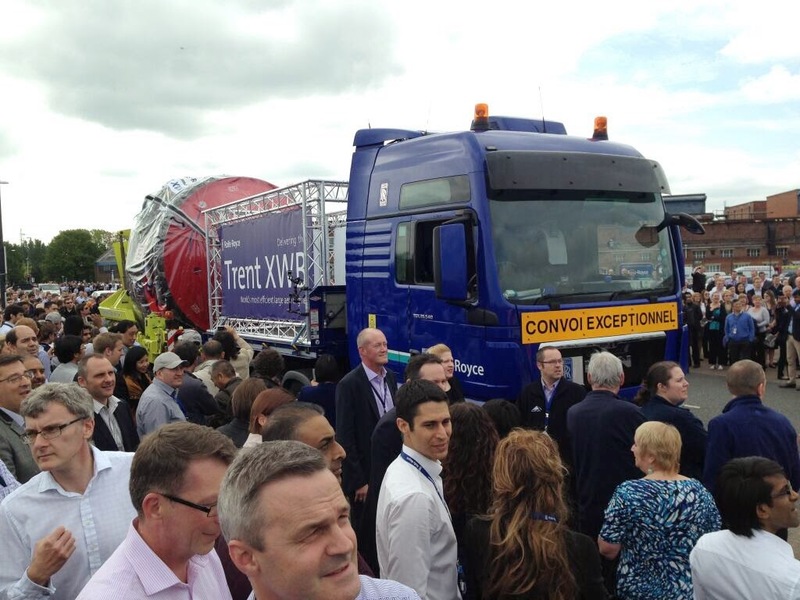 All eyes on the Trent XWB. The team celebrate the 1st production engine being delivered to Airbus FAL. 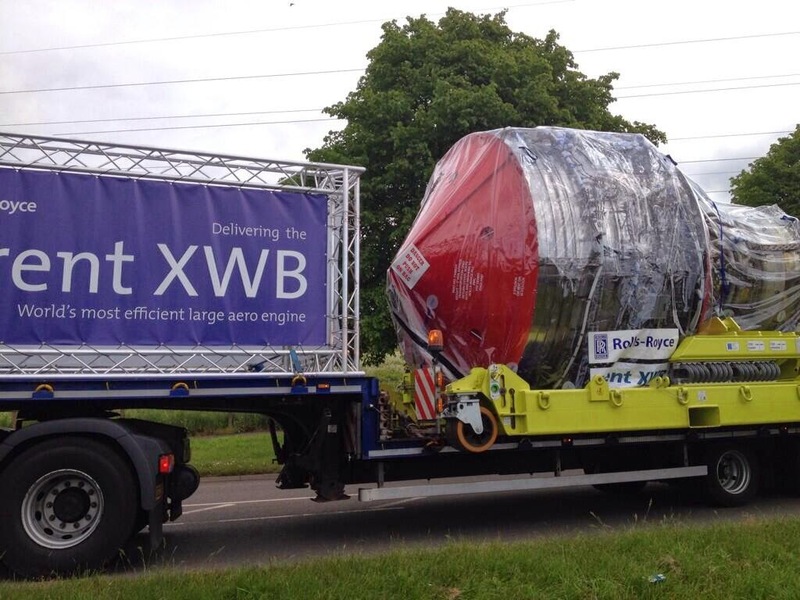 The XWB engine will be fitted at the Airbus FAL in Toulouse. It will be followed in just a couple of weeks by the second one and Rolls-Royce expects to deliver 30 this year and produce one a day by 2017. A350 Pilot training based on commonality.